This pregnancy just kicked into high gear. After finding out about my persistent placenta previa (alliterations are fun, placenta previa is not), and realizing that this baby will probably come sooner than expected, I spent two days feeling completely overwhelmed and curled up on the couch crying, but now I am starting to piece together a new game plan. I am trying to wrap up all the big baby items I need, finish all my home projects (without lifting anything. Gusty sigh), attack my to-do list, and not think about all the bad things that could happen due to the previa. Note to self: stop googling placenta previa already. It is not good for you. We had our second ultrasound, and while it showed us the placenta hadn’t moved (boo) we got a really good look at baby! The sonographer said that he/she was in the perfect position to get all the measurements, and she showed us all of baby’s vital organs. She showed us baby’s heart pumping away, his/her bladder and stomach (both were full), his/her little potbelly (“Skinny mama, and chubby baby!” she said), his/her brain and spine. It was amazing all the detail we could see! Baby is head down, and she tried to show us his/her face. 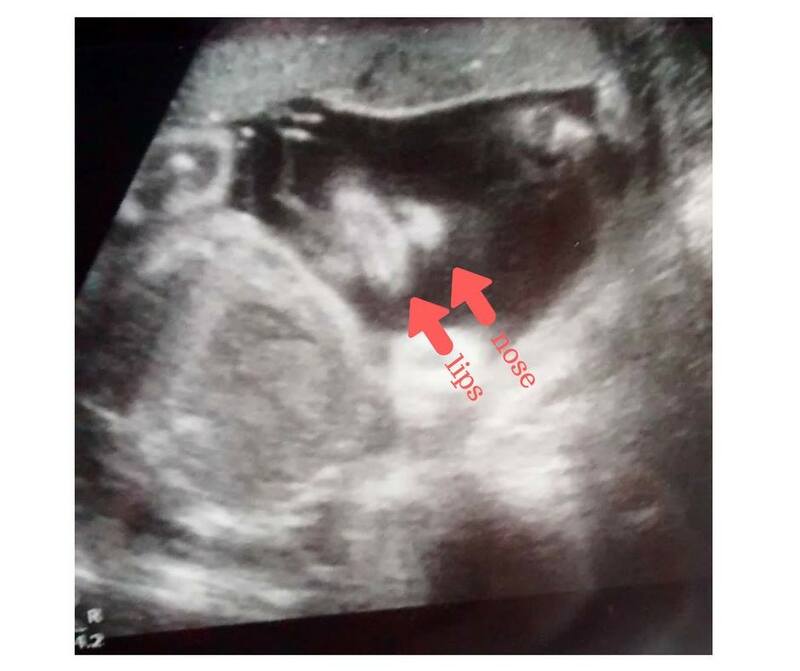 We got a quick peek, but baby had his/her hands in front of his/her sweet little face so we mostly just got a good look at his/her mouth and nose (his/her mouth looks decidedly Polynesian to me!). I can’t believe that in a few short months we’ll be meeting baby! In the midst of all this, I am trying to remember that I do have a baby coming, and not focus as much on the surgery as on the birth. Which is so hard. Ever since I heard the words “it is best if you just plan on a scheduled C-section at this point” from my midwife, I haven’t thought of much else. 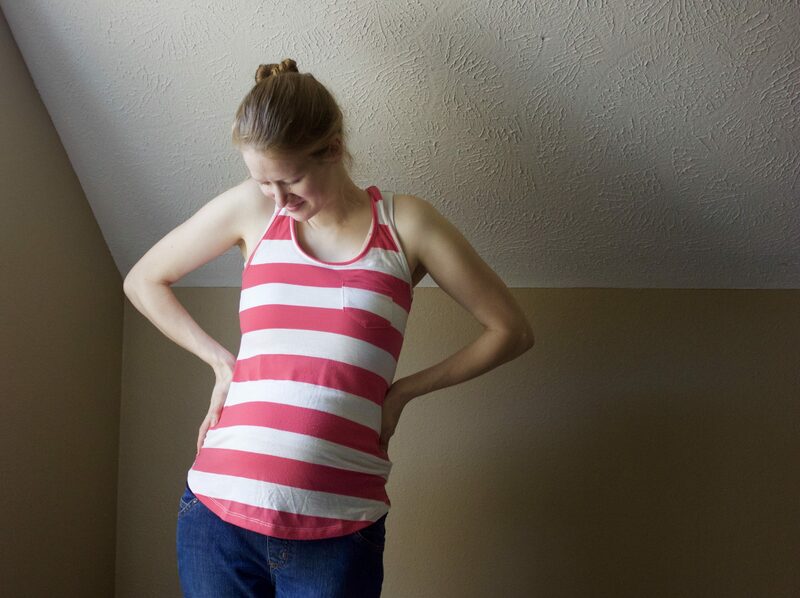 Other people are starting to notice, for the first time, that I am pregnant. I had two strangers ask if I was expecting, which hasn’t happened before, so I guess I officially look pregnant enough that people aren’t afraid to ask. After hearing that I am due in August, they both told me how miserable I will be as the summer heat hits. That, my friends, is what air conditioning is for, and I’m already making good use of it! Due date: August 29. Although my scheduled C-section date is to be determined. How big is baby? Baby is as big as an acorn squash! Baby now measures 16 inches, and our sonographer said he/she is 2 lbs 13 oz (although I know ultrasounds can be wildly off). This week, baby: is developing his/her tooth buds, and working on packing on the fat. Exercise: Absolutely no exercise for me, due to my placenta previa. What I’m googling: what do you really need for a baby? Ever since I had my last ultrasound, and found out that this baby may be coming quite a bit sooner than expected, I’ve been stressing about getting the baby stuff lined up! I’d love any advice from you mamas out there on the essential things I need for this wee little person. Purchases I’ve made: I hit up another local garage sale day this past week, and while it was hot, windy, and crowded (every pregnant woman from miles around was out garage saling) I was able to grab several things on my list! I bought a like-new Graco Pack and Play, a boppy nursing pillow with a cover, a breastfeeding nursing cover, a bunch of nursing pads, some milk storage bags, a mirror for the car (so I can see baby while driving), a car shade for the window, a bunch of flannel burp cloths, and a few more baby outfits. As of today, I have found a Fisher Price rock and play sleeper, a Fisher Price rainforest jumparoo, and a boppy newborn lounger on our local buy/sell/trade Facebook group. Just on those three items alone, by buying used, I saved $155!! I haven’t bought anything new so far, and I count that as a win! I am still looking for a a baby carrier/wrap, a stroller (both one that our carseat can snap into, and a jogging stroller), a baby bouncer, some more sleeper outfits, a few thousand diapers (ha ha! ), and a breast pump. How are you feeling? I had a tough couple days after we found out the placenta hadn’t moved. But physically I am still feeling pretty good. 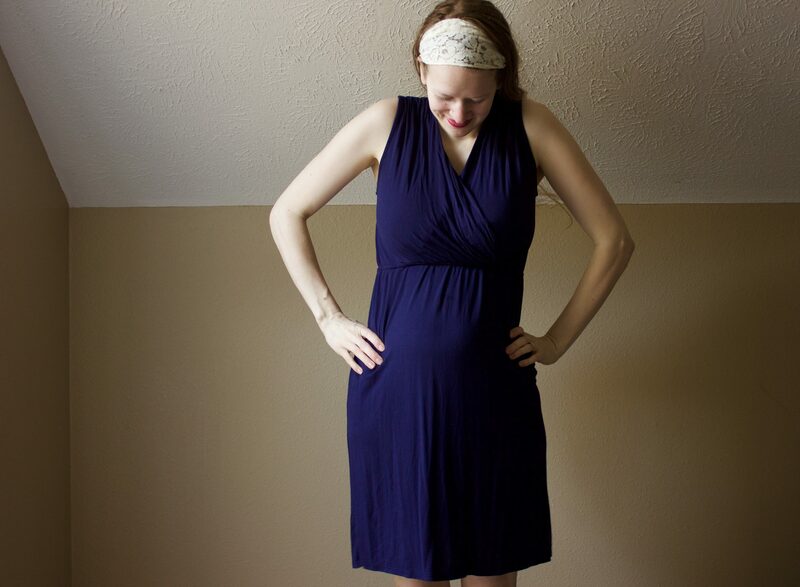 Maternity clothes: I found eleven shirts and a dress at a garage sale this weekend! I was in desperate need of maternity shirts, so I was thrilled to find them! They were only a $1 each, and they were all either Gap or Pea in the Pod brands. I looked up the shirts online, and some of them were $40-$90 tops! Sleep: Still sleeping really well, for which I am grateful! Best moment this week: After I wrote about my disappointment over changing my birth plans, I received so many messages from all of you sweet people! Thank you to all the women who reached out to me, shared your experiences, and tried to help me feel better about having a C-section. You are all the best! Worst moment this week: All the worry that has accompanied the knowledge that this baby could come early. I am praying that he/she will stay in there until he/she gets to full term! Miss anything? I miss my care-free pregnancy days. 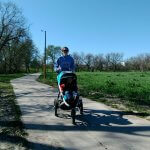 Movement: Baby loves moving, and I felt him/her hiccup for the first time this week! Cravings/Eating: My midwife told me that it is especially important for me to stay well-hydrated, due to my placenta previa. She wants me to avoid my body having any contractions. So I am chugging down that water. I have recently fallen in love with cold cereals, so I am eating those by the bowlful. Symptoms: low back pain, achy hips, sore feet, fatigue. How’s Daddy doing? Have I mentioned lately how much I love this guy? He has been my encourager throughout all these scary new things. He has had to take on a lot of extra chores since I can’t lift anything due to restrictions, and he is working a lot of hours. He never complains, and is my main emotional support as well. He is amazing, and I am so grateful for him. 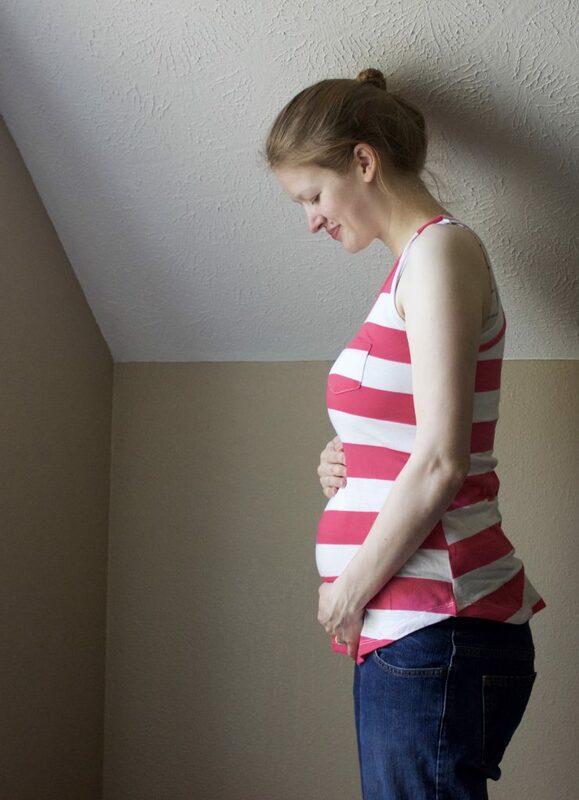 Looking forward to: reaching 32 weeks, then 35 weeks! Each of those are major developmental milestones. I’ll feel so much better once I’ve gotten through these next six weeks. Do you have any suggestions for what we need to buy for baby? I’d love any advice! Amazing job garage saling! I love buying used. I really like my Moby wrap, which I found at Value Village for $9. When your baby is older (4 months +) I highly recommend a Bumbo. I put my babies in it all the time (also a garage sale find for me). You sound like you are coping well with the placenta previa. Being upset and weepy makes complete sense. I have never had a c-section, but my last baby was induced ten days early. I met my midwife at the hospital for a “consultation” with an obstetrician and they ended up inducing me that day. It was hard not to start crying, just because it was unexpected and I hadn’t even brought my hospital bag, for some reason. Anyway, it all went fine and next time around I will plan for a hospital birth, even though I’ve had two home births, because I’ve had two postpartum hemorrhages now. (The induction was because my platelet count kept dropping.) I’m sure you didn’t need to know all that about me. 🙂 Just wanted to share about the ups and downs of pregnancy and delivery. Keep your chin up! My sis-in-law is lending me her Moby, so I am excited to give that a try! And my Mom picked up a bumbo at a thrift store, so it is good to hear that you really recommend that! I am sorry you had to be induced! I think pregnancy is already so tough (just the worries about nourishing, and protecting this little thing inside of us) that any complication is just so much harder to deal with emotionally. 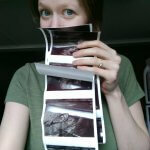 Wow, I am so impressed that you had two home births! We had planned on a water birth in the hospital with a midwife. Thank you for sharing your story! 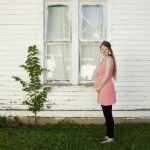 Every mama is a warrior to go through this pregnancy and birth process. It really helps to hear everyone’s stories! You are a yard sale master! That is so wise in baby land because honestly so much doesn’t even really get used, or may just get used for a few months until baby outgrows it. As for what to buy for baby, I’m sure you have a good list and everything you bought is sounding spot on. The one thing that I am realizing that I should have done in preparation is to memorize more songs to sing to baby. I thought I had more memorized, but when nights are late or afternoons get loooong, (and mommy brain has taken over) it’s hard to remember lyrics so I just fall back on the few songs I have memorized. Hah, or random Disney songs from my childhood. And the same songs over and over get old pretty quickly. So my advice is to have some go-to songs ready to sing to Baby L.
You always have the most thoughtful, and unique suggestions, Katie! I really appreciate all the wisdom you’ve shared with me. I never would have thought about memorizing more songs, but of course! I will definitely be adding that to my to-do list. I promise we will get that baby bassinet in the next couple of days sent to you!! !